Are you really smarter than a chimpanzee? My current investing goal is to outperform an ETF tracking the FTSE 100 total return over any given five year period. However, after reading some more about expected returns and the various sources of those returns I think that goal needs some adjustment. Whilst I don’t believe the market is completely efficient, I do think that the market is efficient enough so that for most people the odds of adding value via stock picking are virtually zero. This doesn’t mean that you have to settle for the returns of the FTSE 100 or All Share indices though, or even an international mix of indices. The CAPM Three Factor Model says that the returns from a diversified portfolio come almost exclusively from Market Risk, Size Risk and Value Risk. What constitutes a diversified portfolio is somewhat subjective, but according to Elton and Gruber’s paper “Risk Reduction and Portfolio Size: An Analytic Solution” a portfolio of 10 holdings will have about half the volatility of annual returns of a single holding. More holdings reduce volatility by an ever reducing amount. If you hold fewer companies then you are exposed to Concentration Risk, which according to the theory doesn’t have any associated return. Instead the returns come from the market return multiplied by the percentage of stocks in your portfolio (the stock/bond split) and the weighted average beta of those stocks, the weighted average market cap and the weighted average price/book ratio (and a few extra bits about the risk free rate which I won’t go into here). The lower the average size and price/book, the higher the expected returns. Given that my benchmark is a tracker of the FTSE 100 which is full of large companies and many growth companies and that my portfolio consists exclusively of small value companies, it doesn’t seem fair to just beat that benchmark and claim myself victorious since the model says a dart throwing chimp could do the same. As yet I don’t have figures for the UK, but there are a number of sources that have figures for the expected return from holding small value companies in the US. For example, in Mark T. Hebner’s active investor bludgeoning “Index Funds, The 12 Step Program for Active Investors” (available for free at his rather excellent site), he cites the return in the US from 1927 to 2006 from holding the smallest 30% of companies relative to the largest 30% of companies as 3.13% per year, and the return from holding the 30% of companies with the lowest price/book relative to the 30% with the highest price/book as 5.11% per year. My holdings have a weighted average market cap of about 25 million pounds, which puts them in the bottom 20% of the All Share index in terms of size, so I should expect the full size premium over the FTSE 100 (which by definition is full of the largest companies). The weighted average price/book of my holdings is 49%, which puts them in the bottom 10% in terms of ‘value’ (ignoring negative book value companies). The FTSE 100 actually has a fair spread of price/book ratios, so on that basis I think I can reasonably expect to see half the value premium which would be about 2.5%. I expect to beat the FTSE 100 total return by about 5% annually over the long term. Given that the FTSE All Share has returned about 7% capital gains plus about 3% from dividends and the FTSE 100 is likely to be similar, I would expect a total annual return in the region of 15% with somewhat more volatility than the benchmark due to the additional risk I’ve taken on in order to get the extra returns. Remember that even if I match this performance it does not show any proof of skill since the assumption is that by throwing darts at a board of small value companies (or hiring a chimpanzee to do it) I could achieve the same results. Only by beating that target can I claim some semblance of an apparently ‘socially useless’ skill. Finally, to aid in the general excitement I’ve added a discrete period performance table, showing monthly performances for me and the benchmark, as well as year to date figures to the about page. Discrete yearly figures will appear when I’ve been around long enough to gather them. As you will see, despite underperforming the benchmark by about 5% this past 6 months I’m still in the lead for the year by over 6%, but there’s plenty of time to fall behind yet. If you're looking for historic figures you could try the UK iShares website. This is where I get the market total returns for my benchmark portfolio consisting of the FTSE 100 total return and the iBoxx® Sterling Liquid Corporate Long-Dated Bond Index total return. It's a little hidden but if you pick an ETF that matches what you are looking for and then click on the Performance tab followed by clicking on the chart under that tab you can enter any time period and it will give you the ETF return but also importantly the total return of the Index that it is trying to track. A quick glance shows a couple of small cap ETF's in the list although the closest looks to be a Euro based ETF rather than UK specific. However it might be better than the US data you are using given its a bit closer to home. Definitely food for thought UKVI, I measure my performance against a FTSE_All Share ETF. I'd be tempted to use a fundamental index ETF if only there was a UK one, but the only real option is the a high yield ETF, which is not really relevant as I don't target dividends. That would actually flatter my performance as it's done terribly! I think you're setting yourself quite a hurdle with your combined size/value premia and I'm not sure its justified because a. I'm very suspicious of the theory and CAPM in particular and b. In practice I wonder how many of the calculations allow for the increased cost of trading in smaller companies (i.e. the spread). In practice, the only relevant benchmark to me is one I could invest in. I want to know whether its worth the effort of outperforming, which means comparison with an alternative that is, more or less, effortless. Very thoughtful post. I must say I have a slightly different take on the academic evidence though, the concept of a 'value premium' seems a little contrived, particuarly as I remember reading some research that suggested it had lower volatility as well! 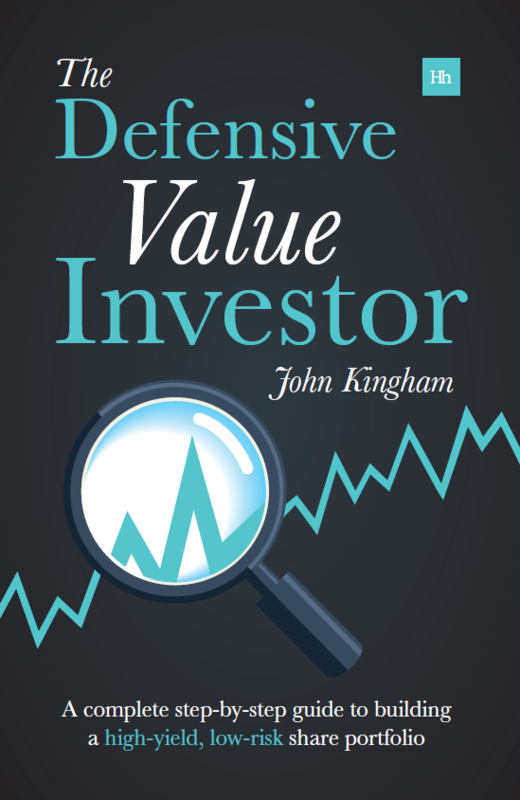 My view is that value stocks outperform for behavioural reasons, that is investors tend to undervalue unattractive companies, and overvalue attractive companies. So by simply selecting the least attractive companies out there, be they small, unprofitable, poorly managed etc, then you should outperform. @RIT – Thanks for the historic data tip, I'll have a look. There is quite a number of research papers on value and size returns outside the US so perhaps I'll go back and look at those too… but I try not to get hung up on the odd percentage point or two as this stuff only plays out over the long term anyway. Hi Richard – I don't think the CAPM model is 'correct', it's just a reasonable starting point. And we agree that there is a value and size premium so I'm just trying to put a rough number on it. Also I really wouldn't want to just beat the FTSE 100 by 1% or so as that's not enough to warrant the extra workload. My time is worth something and my back of an envelope calculations give me 5% which IS worth it. 10% returns double every 7.2 years and 15% returns double in 4.8 years, so in about 15 years you get an extra doubling with 5%, i.e. an extra 100% returns. Of course, what returns I get is only mildly impacted by what goal I set myself, but setting a higher (rational) goal may make me think and work harder if I'm not achieving it. Of course I do also sit on the fence by having about half my net worth invested in an ETF tracker or three, so if my value shares under-perform the market I can take solace in the fact that I own the market anyway! Apologies for the very long comment! Last point. I used to hold the all share but I don't like it any more as 85% of it is just the FTSE 100. The 250 makes up another 12.5% with the last 2.5% being small caps. I'd much prefer it if it wasn't cap weighted so recently I've started putting my FTSE 100 and bond index divvies into the 250 and small cap indexes so that eventually I'll hold 1/3rd of my indexed stocks in each. 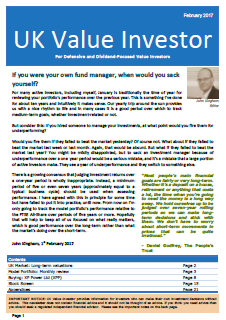 Unfortunately there is an academic paper to back up just about any idea or opinion you may have about investing and trading. Not sure how that works but it does seem to be the case. However, the main French and Fama papers do show an increased volatility of annual returns, which is the price you (may) pay for the higher returns. I'm not sure value companies are 'undervalued' though. I like the idea that the expected future returns are equal to the cost of capital, so crummy out of favour companies have to pay a higher return to attract investment (like if you went to the bank for a business loan and said you hadn't made any profit in three years, they'd rationally charge a higher interest rate than to a highly profitable company). As long as you're diversified you'll reap higher returns in the long run by investing in those sorts of firms. Hi UKV, interesting blog post. Thanks for the reply. I agree with it. You don't really need to invoke financial theory to market +5% when you think that way – the 5% extra is just how much you need to make it worth your while. That brings you out at an average annual rate of return of 15%, exactly the same level I *hope* to achieve for no better reason than both Graham and Buffett think it's reasonable! PS very good observation about the FTSE All-Share under-representing small caps. If I ever, even partially, go down the indexing route, I'll remember it! @RunningCapital – Great web site, I'll definitely be adding you to my blog roll. You've certainly had great results, but I think my head would explode trying to trade at your frequency! I don't think I've made a trade in almost six months, which while a little slower than I was expecting still kind of suits my life and fits with my pet theories. Lets hope your results continue and you can stand as another beacon against any notion of market efficiency. As for Dart, they look like the sort of thing I'd go for, but they'd need to drop another 20p first. Looks like I missed it last year, but the lowish current ratio probably kept them off my screens. I'm an investor and I wanted to ask you a few questions. Do you have an e-mail address? Hi cc00106, my email is uk value investor at g mail dot com, with the spaces taken out of course.